NITI Aayog Vice Chairman, Dr. Rajiv Kumar released a proposal to develop electric vehicle charging infrastructure in Delhi. 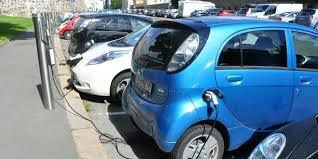 The proposal for the quick pilot could be used to provide a structure for EV infrastructure rollout in the Gurgaon-IGI-South Delhi-Noida corridor.This proposal for developing the pilot includes 55 locations with 135 charging stations of which 46 are DC quick charging stations and 89 are slower AC charging stations. This deployment would require co-operation with state governments, selected government authorities and companies as well as some private enterprises .The plan includes a deployment timeline with first installations in November 2017.The plan is implementable, it includes a large number of stations. Further expansion of this in Delhi NCR and other cities in India is something to be considered based on the experience from this “Quick pilot”.